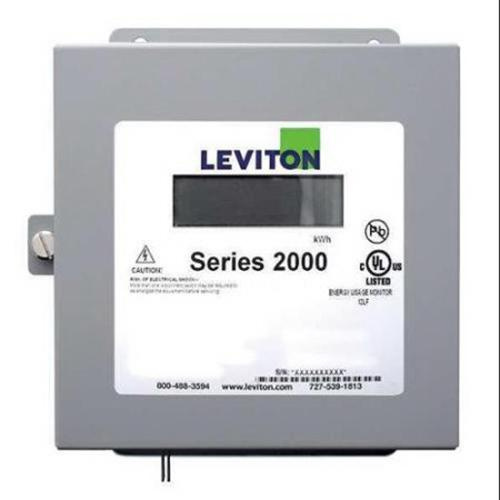 Leviton VerifEye™ 2000 Series Meter kit includes 4-Wire 3 split current transformers. Current transformer equipped with an isolated pulse output channel, is rated at 200-Amps and 120/208-Volts. Large LCD display of the transformer shows Kilowatt-Hour, optional peak and instantaneous Kilo-Watt with demand reset. 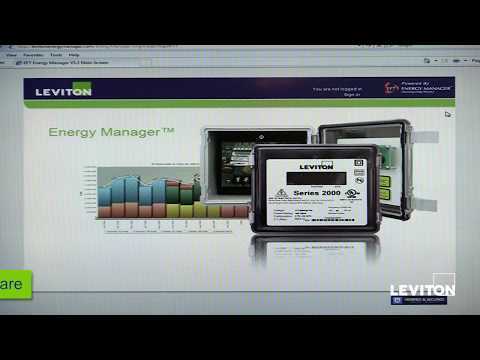 Load indicator LED verifies meter functionality. Meter kit is ideal for load profiling and benchmarking, AMR integration, usage aggregation, tenant cost allocation, measurement and verification. Meter kit is UL/cUL listed, ANSI C12.1 certified, Title 24 and ASHRAE 90.1 compliant.